Well that time of year is getting closer where children start asking for a pony. I wanted to share some things with you before you start looking for that perfect pony. There are those children that have been around their parents horses and now want a pony of their own. Then there are those who have never had a pony and because of what they’ve seen at the movies or on TV now they want one. The fantasy of having their own pony is magical. But the reality is if you and your child are not prepared buying a pony can be such a burden and can turn into heartbreak! 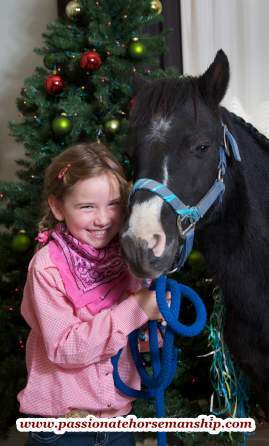 When buying a pony for your child you have to look at it as an investment. I say investment because a good safe pony is usually not cheap but the good thing is that when you get ready to resell there will be buyers who are willing to invest like you did. 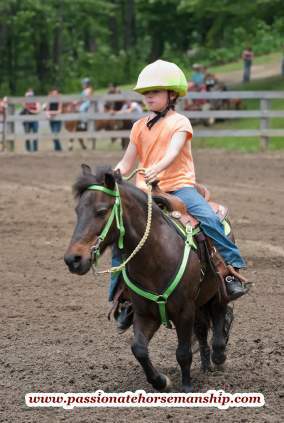 This pony must be safe, well trained with a great attitude and one that your child will gain confidence on. Don’t buy based on looks or color alone. Also make sure to get one that fits your child now as I tell you this from experience. The horse market right now is filled with giveaway or cheap horses and ponies and some you might find at rescues. Why? Well because of the cost to take care of them, they don’t have training or little training or they could have health problems. Find someone in your area that is reputable has ponies and knows how to deal with children so that your child can take lessons first. You can also find places that lease ponies which is great, that way your child can be involved in caring for them which will give them a true sense of ownership before you buy. By leasing a pony you will be able to tell if your child is serious about doing what it takes to care for them from grooming, cleaning the stall, feeding and learning how to handle them. Most riding stables won’t have your child cleaning the stall or feeding them. I can tell you from experience that even though my son had been around my horses it was different when he got his own. The first horse I purchased for him was an 18 year old gelding that was safe, had a great disposition, was well trained and had no health problems. He was so excited as he groomed him everyday, cleaned the stall, fed and watered him and also rode him during the week. I was so happy as I knew I had made the right choice well a couple of months went by and he got to where he did not want to clean the stall and if it was cold outside he did not want to go out and feed or water. He also started losing interest as the horse was to big for him to saddle. When he did ride it was usually for 10 or 15 minutes then he was done. He soon lost interest all together and did not want the horse anymore so I decided to sell him. This is where the heartbreak comes in as you get so attached to these horses but it turned out well as he went to a home with two little girls that absolute loved him. If you’ve made up your mind that you just have to buy one then take your time as the cost alone to take care of them is expensive. If they don’t have any or little training and you do not know how to train one for your child you will be investing your money into training. Purchasing a pony with health problems can put you deep into debt and you may wind up with one that you can’t resell or give away. I offer a great lease opportunity where adults or children can learn how to care for and handle ponies. Call or email me today to get started.